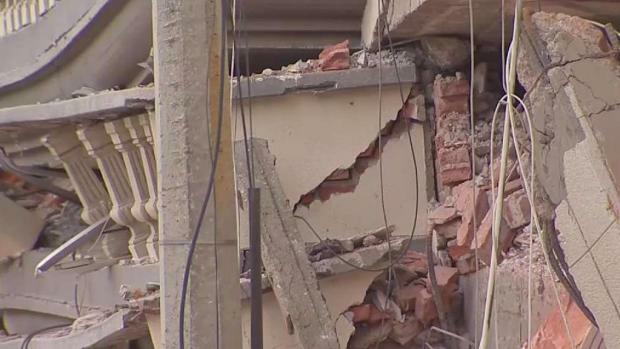 7.1 magnitude quake hits about 80 miles southeast of Mexico City Tuesday afternoon. Tuesday's quake comes 32 years to the day an 8.0 quake killed thousands in the capital city. Of the 273 reported dead, 137 were found in the capital city. As painstaking attempts to reach survivors in quake-ravaged buildings across Mexico City stretched into a third day Thursday, desperation mounted among loved ones who earlier had high hopes for quick rescues and some complained they were being kept in the dark about search efforts. The search for any sign of life continues in Mexico beneath piles of rubble more than two days after a powerful, deadly earthquake rocked several states. Outside a collapsed office building in the trendy Roma Norte district, a list of those rescued was strung between two trees. Relatives of the missing compared it against their own list of those who were in the building when the quake struck -- more than two dozen names -- kept in a spiral notebook. 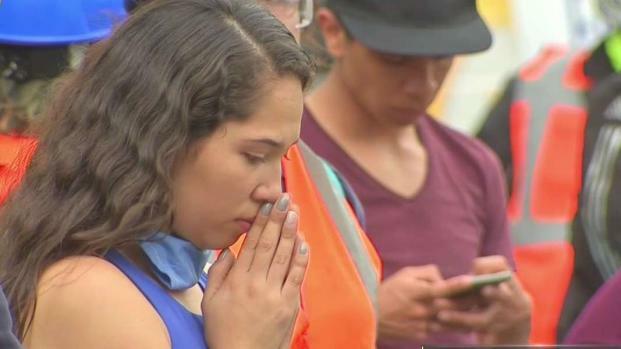 Families are growing more anxious as the precious minutes tick away in the search for survivors in the rubble of the earthquake in Mexico. 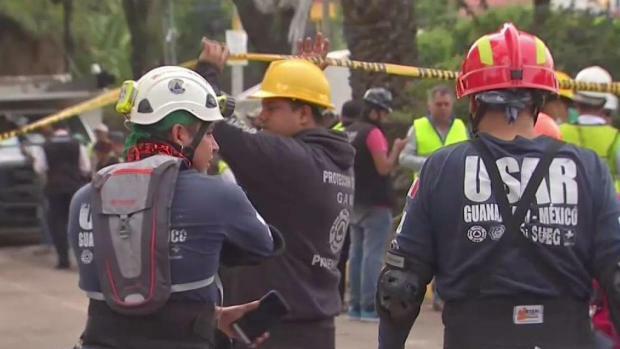 Crews are in a frantic search to find survivors after a deadly earthquake struck Mexico Tuesday. At least 230 people have died, but 52 people have been pulled from collapsed buildings alive. 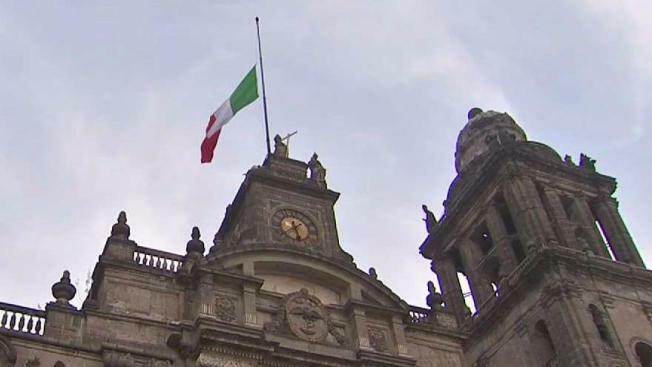 Telemundo 39 reporter Norma Garcia was in Mexico City Tuesday interviewing a survivor of the catastrophic 1985 earthquake, where at least 5,000 people die, on its anniversary when a 7.1 magnitude temblor rocked the capital city. Towards the end of the interview, the siren of a seismic alert began to ring. 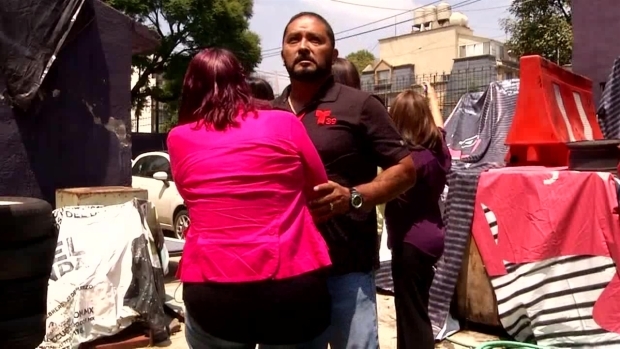 Garcia, photographer Daniel Manrique and the woman being interviewed, Susana Irma Laguna Aburto, struggled to remain on their feet as they tried to move from the garden where they were shooting to a safer area. In Manrique's video, buildings can be seen moving, power lines swaying and cars jolting from side to side. None of the people in the video were injured in the quake.